Find a great deal on the perfect used car or truck at an auto auction in North Carolina or South Carolina. Buying at an auction is easy and the process is a lot of fun. Auction staff will help you each step of the way to make first time visitors feel welcome and comfortable. Each auction features bank repos, impounds, trade-ins, private-owned vehicles and more! 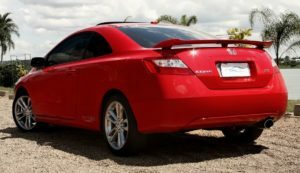 Most cars have a clean title unless otherwise stated by the auction. These are great cars that are sold cheap to the public each week. Do not miss out! Be sure to arrive early before the auction begins. This will allow you ample time to preview the auction inventory before the sale starts. Be sure to read the Auction Buyer’s Guide for more information. Some auctions in NC & SC are dealers only. Be sure to contact the auction to make sure they allow public bidders.